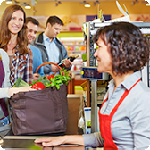 Achieving customer service excellence is a goal for all convenience stores. The training in this category covers important customer service skills employees need to provide exceptional service and create customer loyalty. Providing excellent service by being helpful and professional.